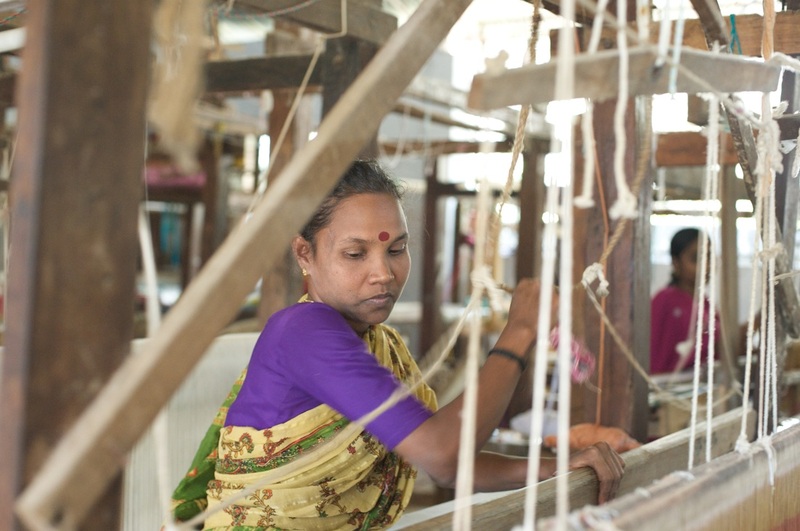 Eco-friendly knickers and PJ bottoms have helped Bath-based ethical charity Kerala Crafts become a winner at the South West Fairtrade Business Awards 2015. The firm, established in 2001, shared top spot in the hard-fought Best Fairtrade Retailer – Multiple Products category in the awards with Bristol retailer The Better Food Company. 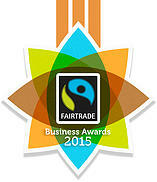 Now in their third year, the awards champion businesses that demonstrate commitment to using and promoting fairtrade. This year there was a 40% increase in applications. Chris Pay, Head of Shared Interest Foundation, who presented the award to Kerala Crafts, said: “The winner sells only fair trade goods, sourcing from some of the most disadvantaged communities in India, thereby transforming the local economy, particularly the lives of women. Founder Christine Snow, set up the charity after a holiday in Kerala where she witnessed the plight of many marginalised people, particularly women. The locally-produced baskets she brought back to the UK sold well, giving her the idea of helping the women through fair trade goods. Today it provides an alternative to a life of poverty by supporting five projects in Kerala, Southern India, including a women’s stitching co-operative and cotton co-operative. These make its products which range from oven gloves and bibs to knickers and nightware and are sold via its website and through Fairtrade retailers across the UK. Also among the Fairtrade Business award winners were The River House, Frome, which gained Silver in the Best Fairtrade Café category; Christina Oswin Jewellery, Frome (Gold in Best Fairtrade Retailer – Single Product); Christine’s Sustainable Supermarket, Bradford-on-Avon Gold in Best Fairtrade Retaile r- Multiple Products); and Bath Spa University (Gold in Best Fairtrade University or College). The awards were staged at the Watershed media centre in Bristol and were sponsored by Bristol law firm Burges Salmon and backed by Aardman Animations and Divine Chocolate who have teamed up to produce Fairtrade Shaun the Sheep Easter eggs to coincide with the cinema release of the Aardman character’s first feature-length film. Divine managing director Sophi Trancell spoke about how she launched her Fairtrade business and her inspiration while Aardman licensing manager Laura Daniel talked the collaboration with Divine before screening the Shaun the Sheep trailer. Winners of each category received a unique trophy designed by Bristol Blue Glass. Lunch was provided by the Surplus Supper Club and sponsored by the Shared Interest Foundation, which was appealing for support for farmers in Malawi whose livelihoods have been swept away by recent flooding. The Fairtrade Business Awards were part of the Bristol Green Capital 2015 programme and linked with the Go Green Business Scheme. Bristol is hosting the International Fair Trade Towns Conference in July and also celebrates 10 Years as a Fairtrade City this year. The Best Fairtrade Business Award went to Koolskools, the Hampshire-based ethical school clothing and Fairtrade cotton uniforms firm. Bristol Business News, the sister title of Bath Business News, was media partner for the awards.